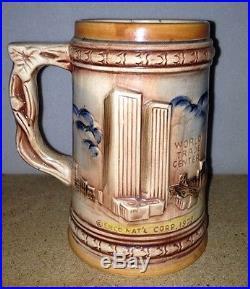 RARE VINTAGE ENCO STEIN MUG WORLD TRADE CENTER TWIN TOWERS WTC NEW YORK 70's In excellent condition. 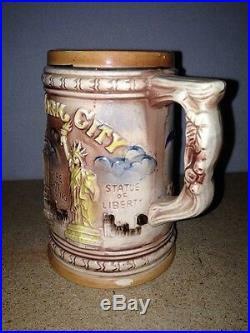 Beautifully depicts The World Trade Center, Empire State Building, and Statue of Liberty. 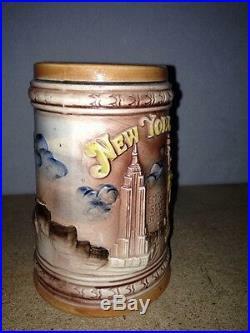 There's a small area near the bottom that appears unglazed (I took a close-up of the spot) it is NOT a chip and opposite of the World Trade Center part. 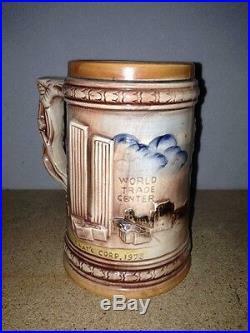 The item "RARE VINTAGE ENCO STEIN MUG WORLD TRADE CENTER TWIN TOWERS WTC NEW YORK 70's" is in sale since Monday, July 4, 2016. 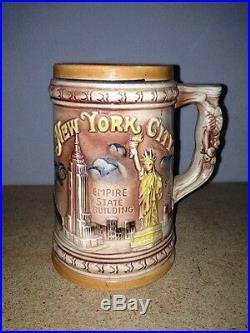 This item is in the category "Collectibles\Historical Memorabilia\Fairs, Parks & Architecture\Amusement Parks". 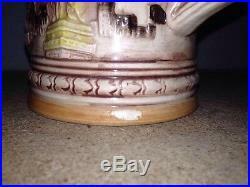 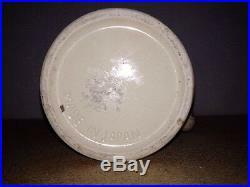 The seller is "dgastonia" and is located in Gastonia, North Carolina. 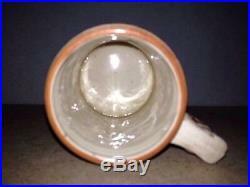 This item can be shipped to United States, Canada, United Kingdom, Denmark, Romania, Slovakia, Bulgaria, Czech republic, Finland, Hungary, Latvia, Lithuania, Malta, Estonia, Australia, Greece, Portugal, Cyprus, Slovenia, Japan, China, Sweden, South Korea, Indonesia, Taiwan, Thailand, Belgium, France, Hong Kong, Ireland, Netherlands, Poland, Spain, Italy, Germany, Austria, Bahamas, Israel, Mexico, New Zealand, Philippines, Singapore, Switzerland, Norway, Saudi arabia, Ukraine, United arab emirates, Qatar, Kuwait, Bahrain, Croatia, Malaysia, Chile, Colombia, Costa rica, Dominican republic, Panama, Trinidad and tobago, Guatemala, El salvador, Honduras, Jamaica, Nicaragua, Oman, Pakistan, Paraguay, Uruguay.